The Service First Video Library can be used by any type of organization to improve customer service because the concepts and vignettes are generic and cover every segment of the marketplace. 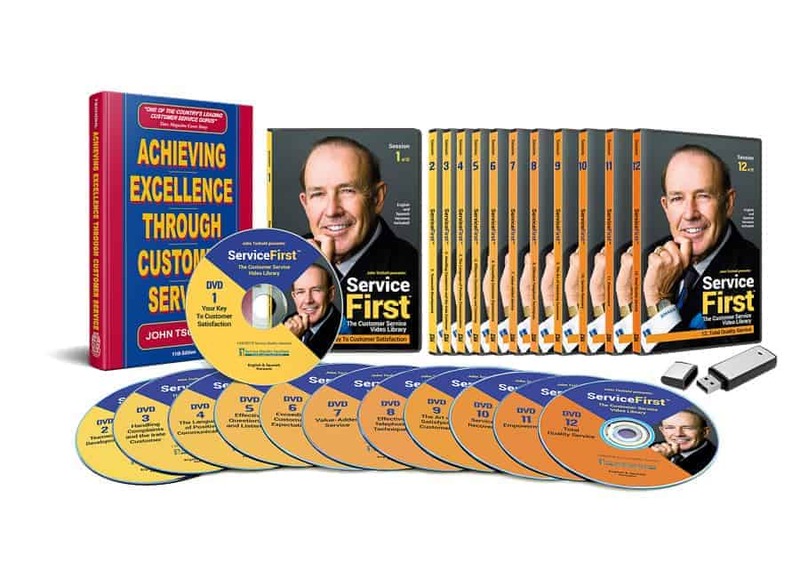 A comprehensive customer service resource filled with instruction guides, exercises, insights, and expertise that guarantees success beyond expectation. An easy-to-follow presentation for added visual impact and to enhance learning. 2 pages per video to help promote group participation through active involvement and guided discussion. Printable for each participant upon completion of program.